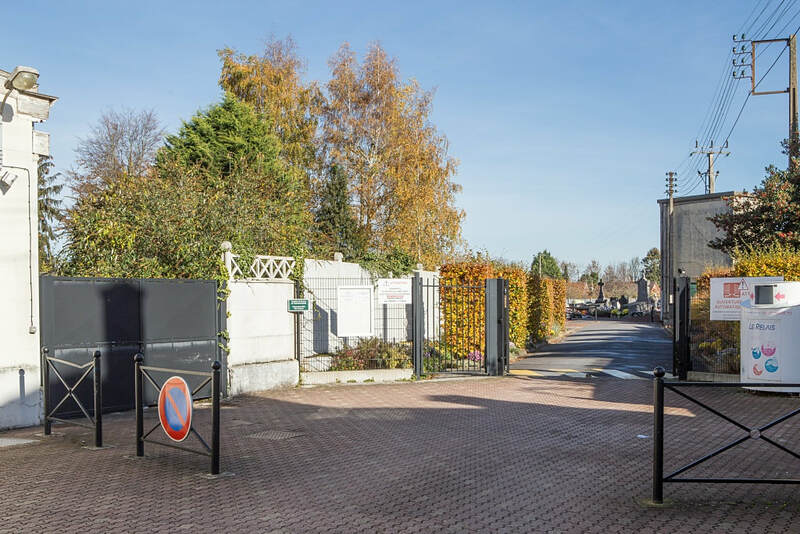 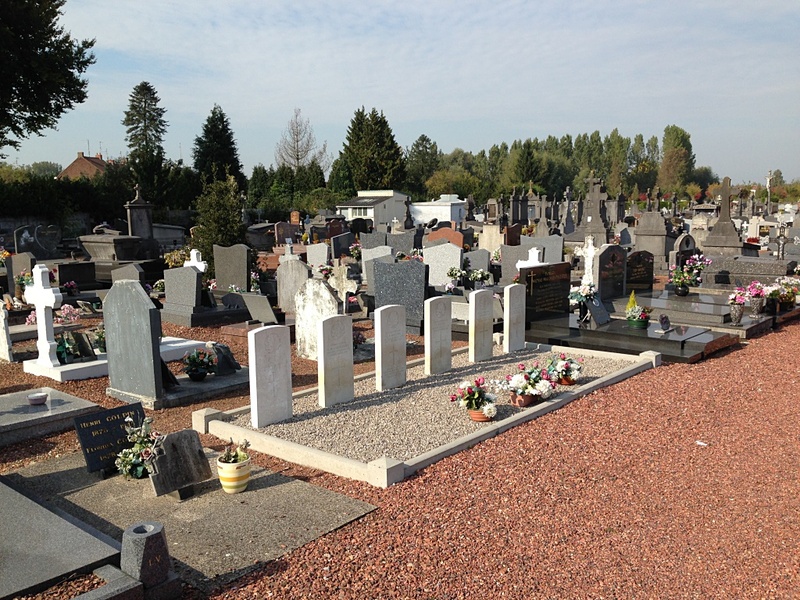 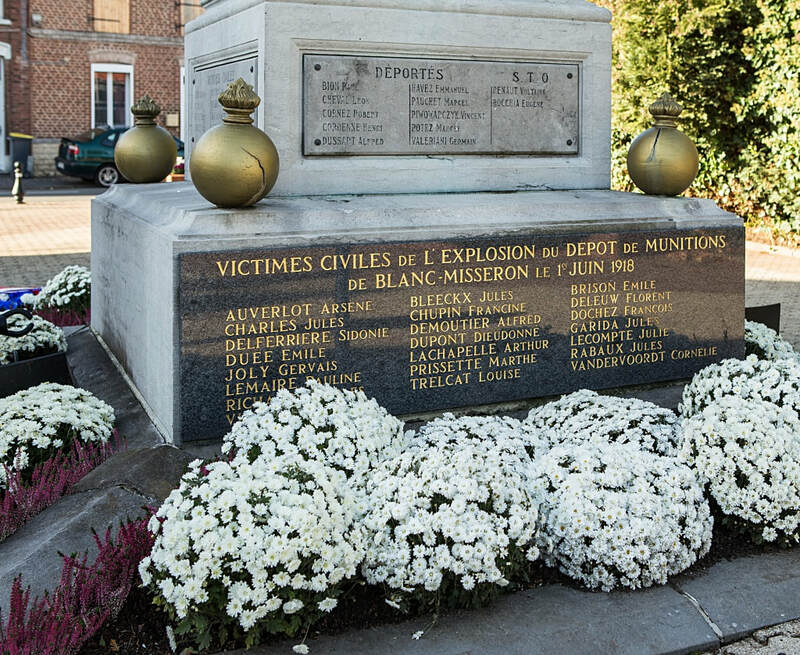 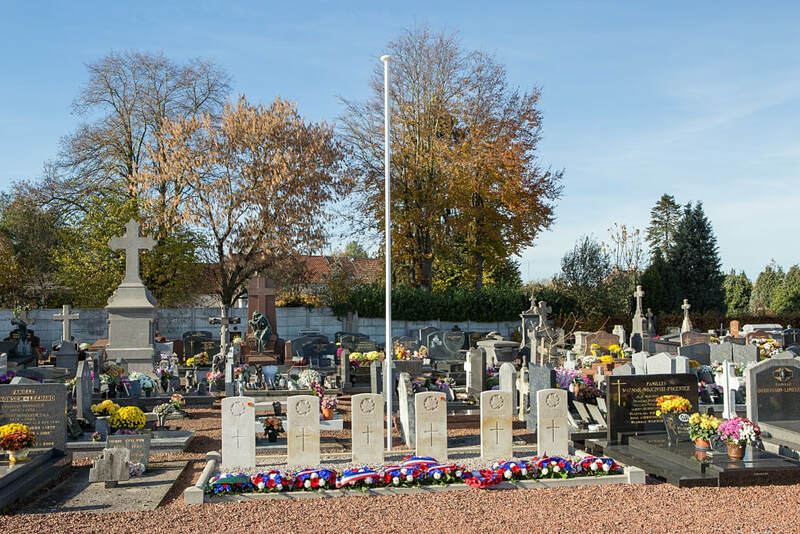 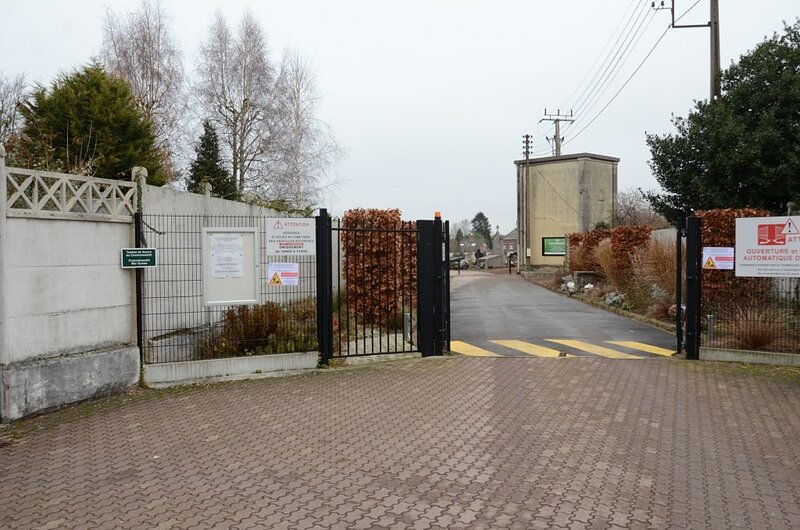 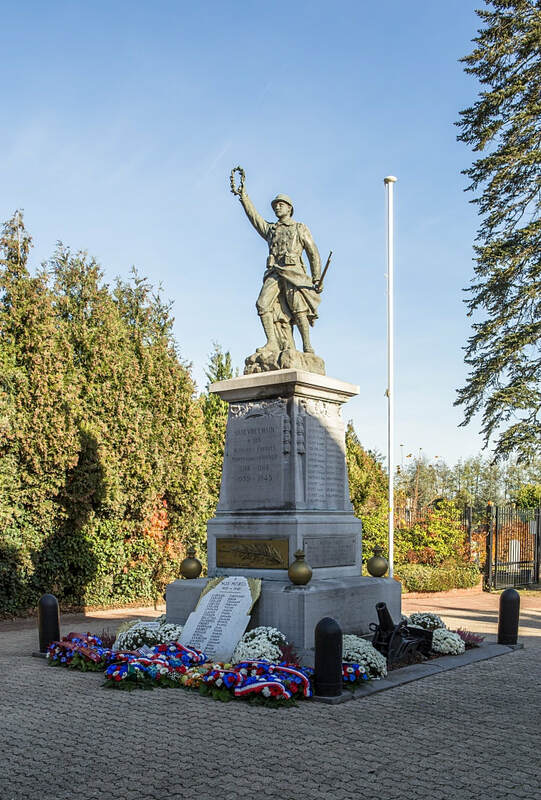 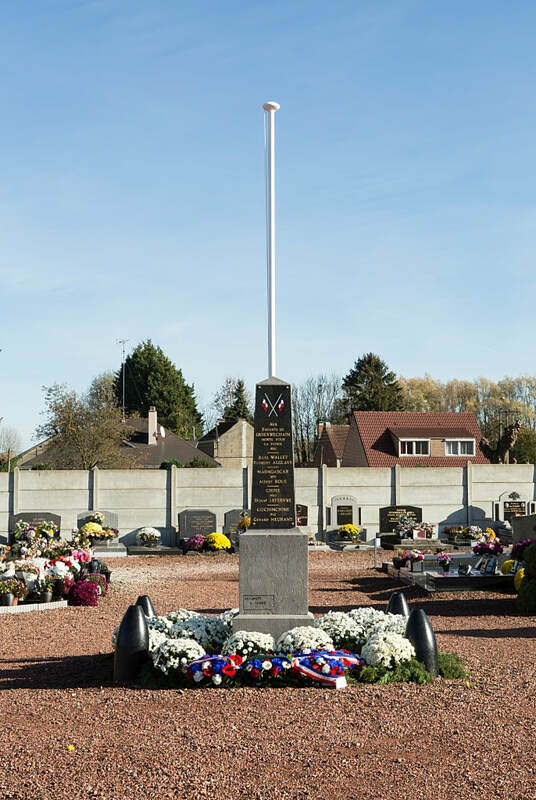 Quiévrechain Communal Cemetery contains six Commonwealth burials of the First World War. 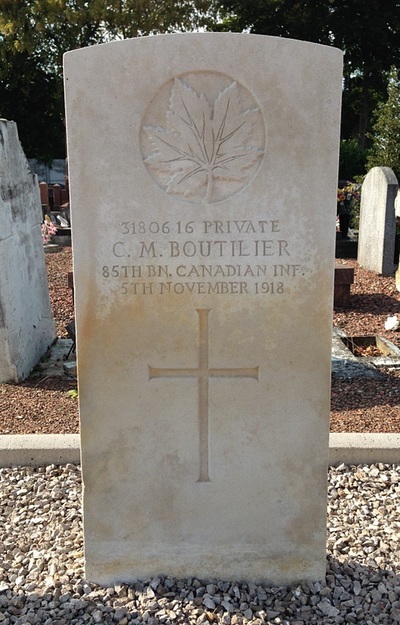 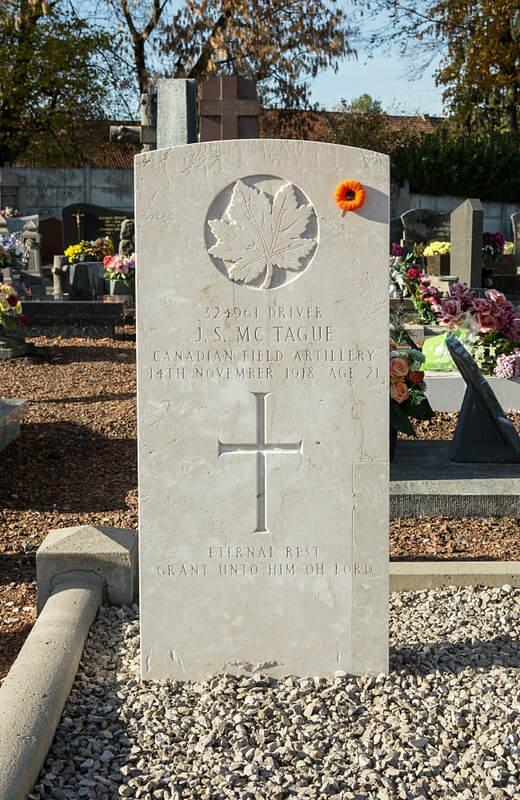 3180646 Private C. M. Boutilier, 85th Bn. Canadian Infantry, died 5th November 1918. 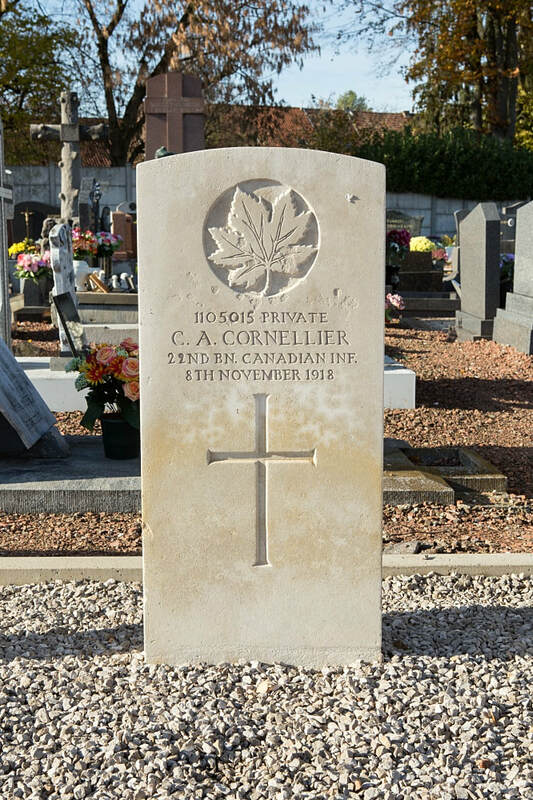 1105015 Private Charles August Cornellier, 22nd Bn. 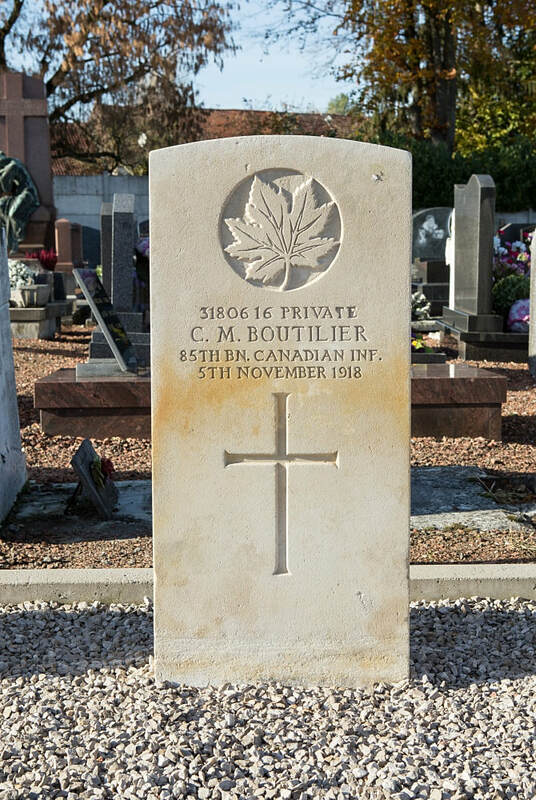 Canadian Infantry, died 8th November 1918, aged 20. 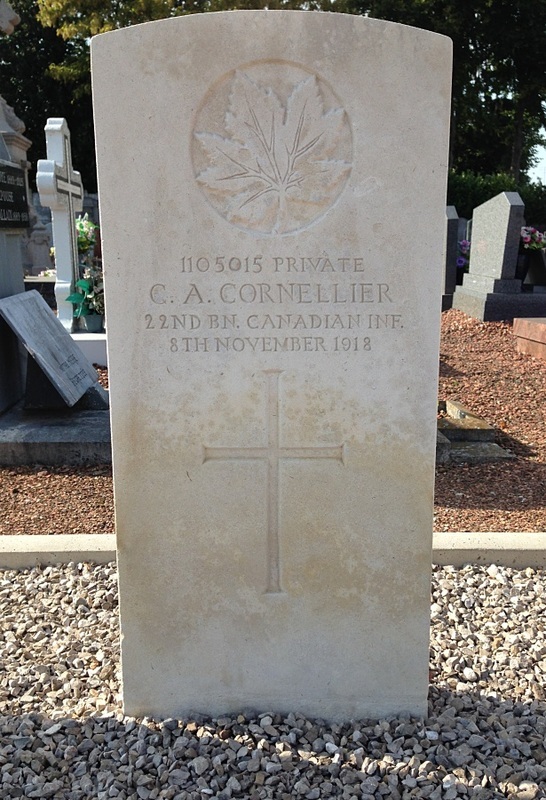 Son of Arthur Cornellier and his wife, Louisa Laferriere, of 82, Common St., Montreal. 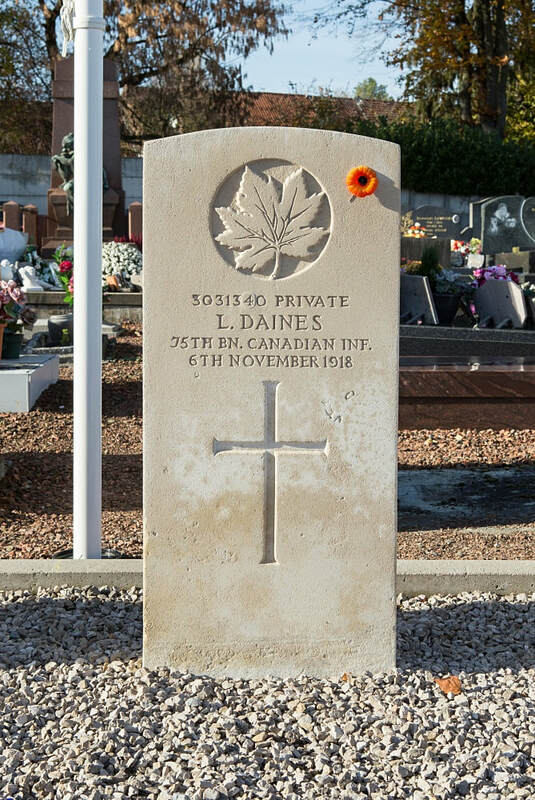 3031340 Private L. Daines, "C" Company, 75th Bn. 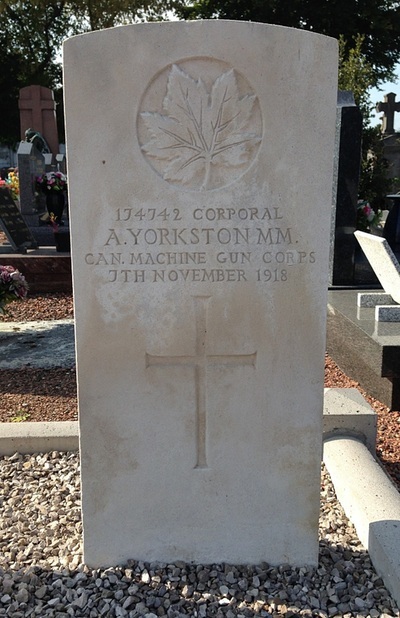 Canadian Infantry, died 6th November 1918, aged 24. 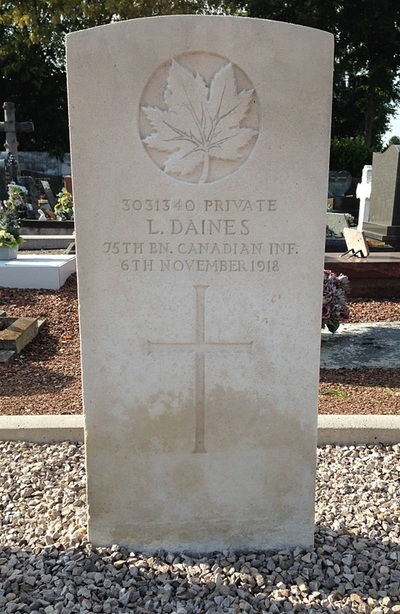 Son of the late Leonard and Eliza Daines, of London, England. 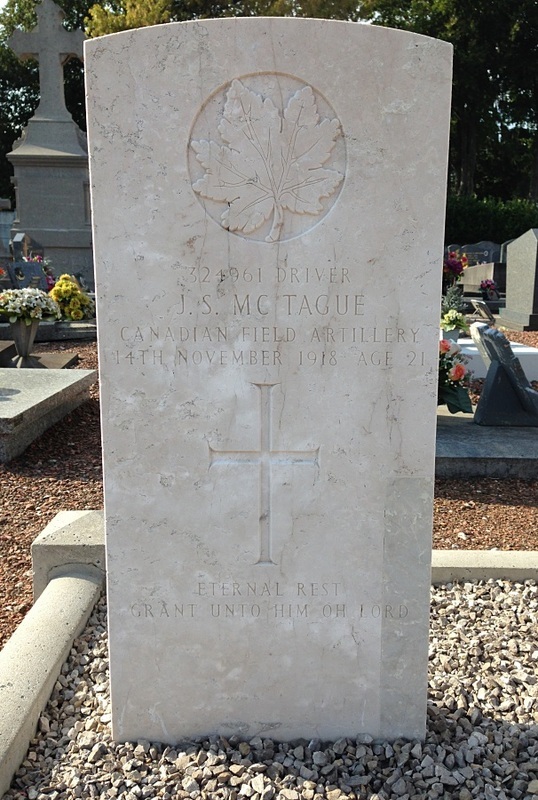 324961 Driver John Stanislaus McTague, 55th Battery, 13th Brigade, Canadian Field Artillery, died 14th November 1918, aged 21. Son of John Stanislaus McTague and Agnes Purcell McTague, of 79, Durham St., Guelph, Ontario. 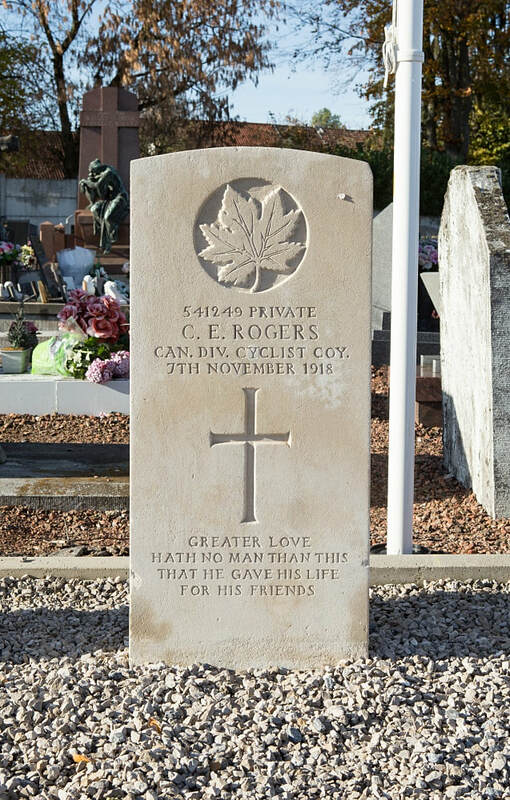 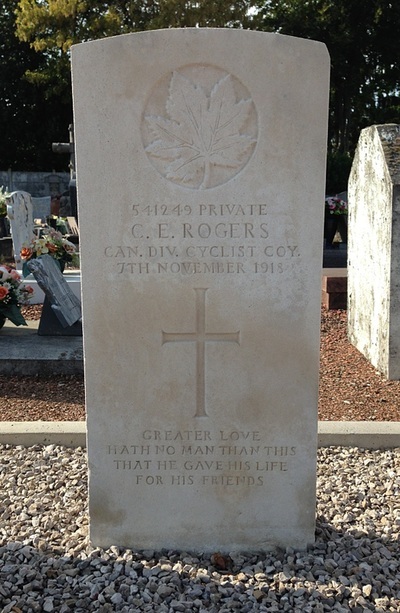 541249 Private C. Rogers, Canadian Division Cyclist Company, died 7th November 1918, aged 25. Son of Robert and Jane Acton Rogers, of Toronto, Canada. 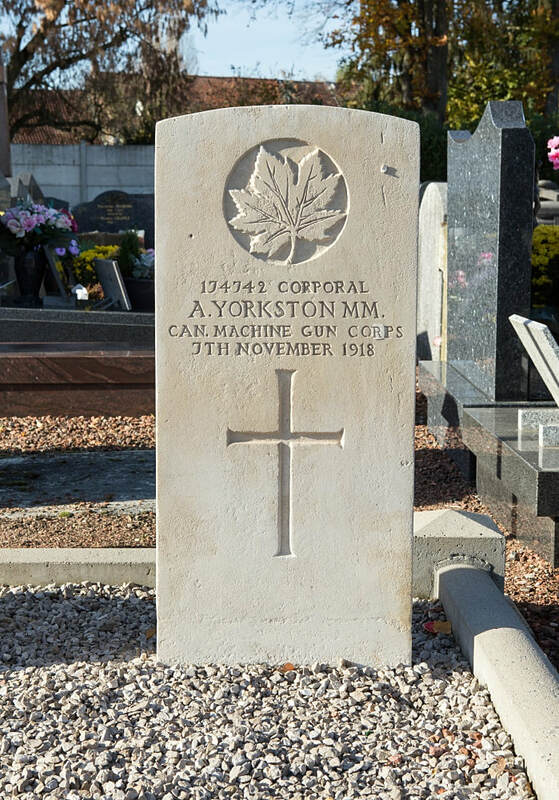 174742Corporal A. Yorkston, M. M. 4th Canadian Machine Gun Corps, died 7th November 1918.